LEELA SYLVIA ISANI AND FRANK WECKESSER - self-companys Webseite! 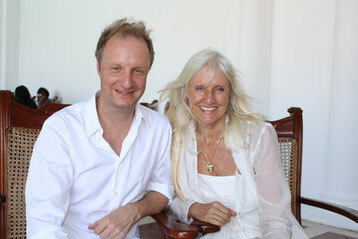 Leela Sylvia Isani and Frank Weckesser, both German born, are founders of SELF The Empowerment Company. Their work is focused on empowering the Human Potential. In 2012 they created the SELF HEALING RITUAL to bring a new cutting edge treatment to the world of spa and healing.